Blending the elegant look of porcelain with the unbeatable durability of melamine, American Metalcraft’s platters and bowls are perfect for serving entrees, side dishes, pastries, desserts, and appetizers. 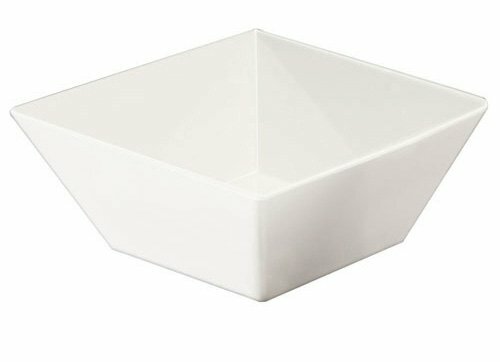 The Endurance Melamine Collection bowls and platters are manufactured from nearly indestructible melamine for long-lasting reliability and everyday performance. The chic, white design provides a timeless display to any tabletop and blends with nearly any décor. 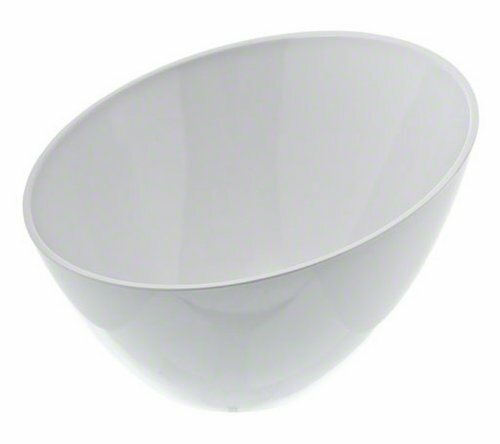 Each order contains one 64-ounce angled round melamine bowl measuring 9.25” Dia. x 5.25” H. Not recommended for microwave use. Dishwasher safe up to 200 degrees. With 70 years of service, American Metalcraft is a leader in the foodservice industry for trend-focused and unique products. Blending the elegant look of porcelain with the unbeatable durability of melamine, American Metalcraft’s platters and bowls are perfect for serving entrees, side dishes, pastries, desserts, and appetizers. The Endurance Melamine Collection bowls and platters are manufactured from nearly indestructible melamine for long-lasting reliability and everyday performance. The chic, white design provides a timeless display to any tabletop and blends with nearly any décor. 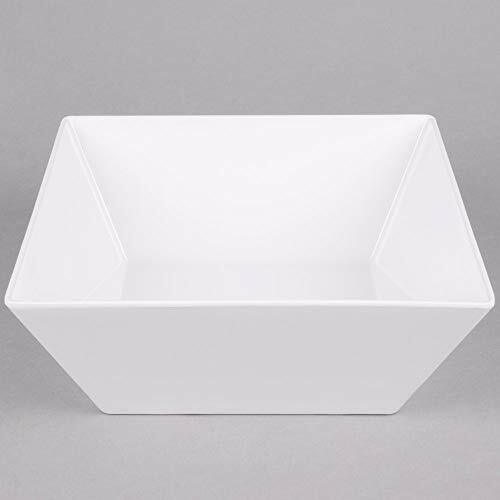 Each order contains one square melamine bowl measuring 12” Sq. x 4.5” H. Not recommended for microwave use. Dishwasher safe up to 200 degrees. With 70 years of service, American Metalcraft is a leader in the foodservice industry for trend-focused and unique products. Blending the elegant look of porcelain with the unbeatable durability of melamine, American Metalcraft’s platters and bowls are perfect for serving entrees, side dishes, pastries, desserts, and appetizers. 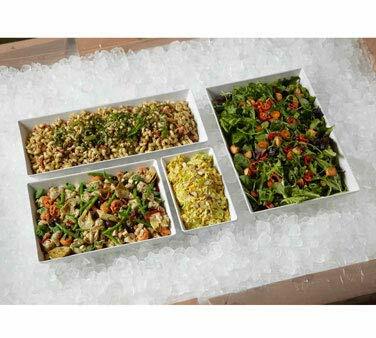 The Endurance Melamine Collection bowls and platters are manufactured from nearly indestructible melamine for long-lasting reliability and everyday performance. The chic, white design provides a timeless display to any tabletop and blends with nearly any décor. Each order contains one square melamine bowl measuring 5” Sq. x 2.875” H. Not recommended for microwave use. Dishwasher safe up to 200 degrees. With 70 years of service, American Metalcraft is a leader in the foodservice industry for trend-focused and unique products. 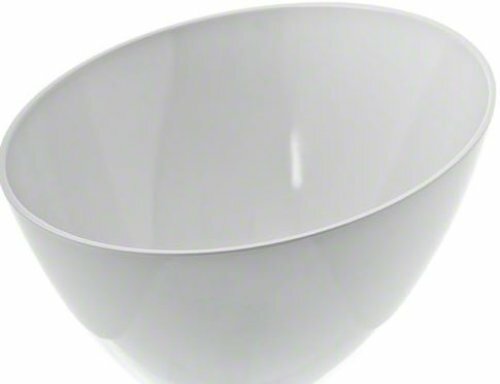 The Endurance melamine collection bowl is break resistant and durable, though not recommended for use with microwaves. Dishwasher safe up to 200 degrees. Blending the elegant look of porcelain with the unbeatable durability of melamine. 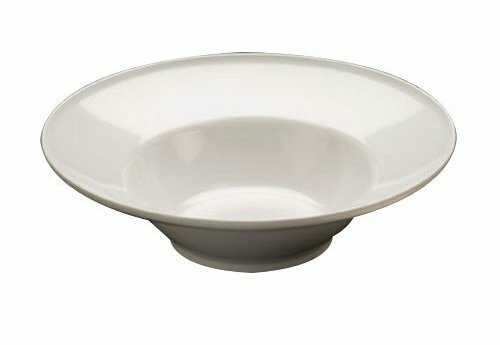 Bowl is perfect for serving salads, entrees and side dishes. Available in white color and round shape. Measures 12-inch diameter by 3-1/4-inch height. Comes in 87-ounce capacity. 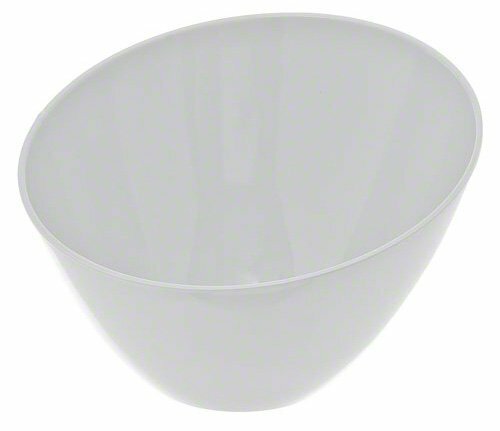 American Metalcraft MELSL52 The Endurance Melamine Collection Slanted Round Bowl, 11-Ounce, White by AMERICAN METALCRAFT, INC.
American Metalcraft's Endurance Bowl, 228 oz., 12" sq. 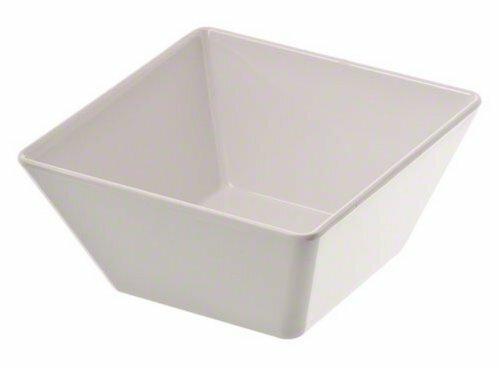 x 4-1/2"H, break-resistant, dishwasher safe, melamine, white. Case of 6. Blending the elegant look of porcelain with the unbeatable durability of melamine, American Metalcraft’s platters and bowls are perfect for serving entrees, side dishes, pastries, desserts, and appetizers. 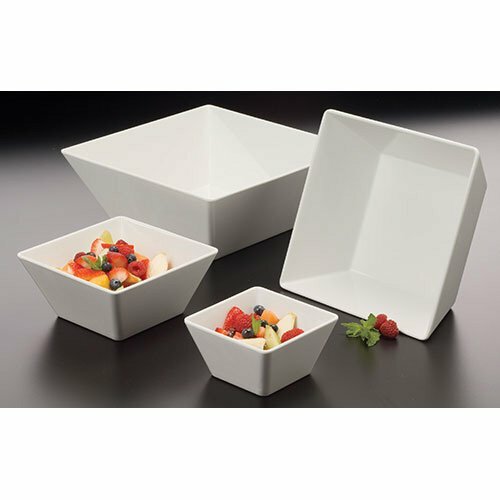 The Endurance Melamine Collection bowls and platters are manufactured from nearly indestructible melamine for long-lasting reliability and everyday performance. The chic, white design provides a timeless display to any tabletop and blends with nearly any décor. 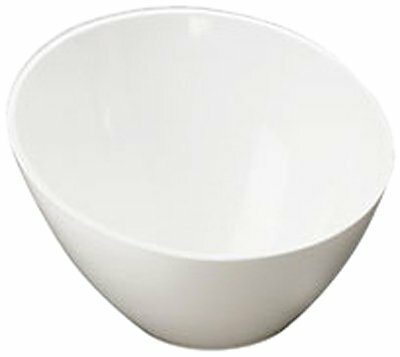 Each order contains one 112-ounce angled round melamine bowl measuring 12” Dia. x 6.5” H. Not recommended for microwave use. Dishwasher safe up to 200 degrees. With 70 years of service, American Metalcraft is a leader in the foodservice industry for trend-focused and unique products. Blending the elegant look of porcelain with the unbeatable durability of melamine, American Metalcraft’s platters and bowls are perfect for serving entrees, side dishes, pastries, desserts, and appetizers. The Endurance Melamine Collection bowls and platters are manufactured from nearly indestructible melamine for long-lasting reliability and everyday performance. The chic, white design provides a timeless display to any tabletop and blends with nearly any décor. Each order contains one square melamine bowl measuring 7” Sq. x 3.25” H. Not recommended for microwave use. Dishwasher safe up to 200 degrees. With 70 years of service, American Metalcraft is a leader in the foodservice industry for trend-focused and unique products.